Add documentation and track its performance instantly! If you have any questions, don’t hesitate to ask us in comments or via contact form in Envato profile. We try our best to respond right away (or within 1 hour) during working time (we’re at GMT+2, EET) or within 1 day otherwise. Version 1.4.4 is out – now with Visual Composer elements! Great news! New major update added in version 1.4.2: MinervaKB now has a powerful WordPress FAQ module, with instant filter and categories. Plus a ton of flexible style options for it! As a bonus, you can save up to $20 not buying a separate FAQ plugin. This time we decided to go against the grain a bit. Instead of adding every feature available in WordPress FAQ plugin today we spent a great deal of time to investigate how FAQ module is used by largest companies and businesses, collected the key features and dropped the rest, so it has only the important stuff. Let us know what your think! Content restriction. Restrict access to articles based on user role. Show login form and teaser to users who are not registered. Important upgrade info:1. 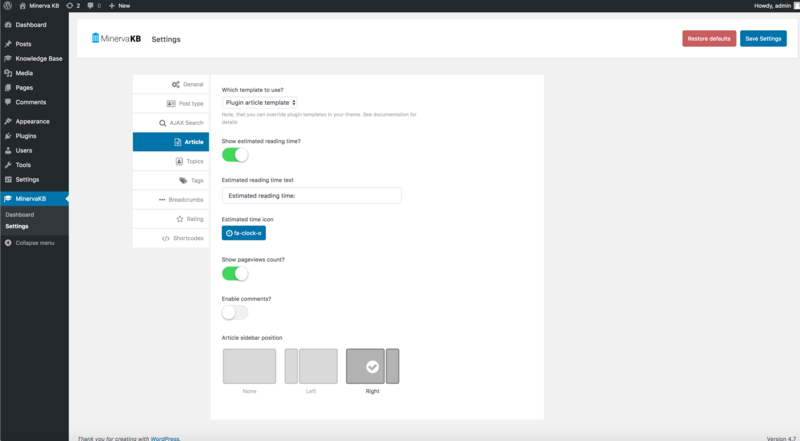 This version adds support for new WordPress 5.0 Block editor. However, if you want to use Classic editor for Articles and FAQ Questions you can disable the new editor interface for these items in MinervaKB plugin Settings (it’s enabled by default). Classic Editor plugin is not required for this. 2. This version adds many changes, so please backup before upgrading on production sites. 3. All Classic Editor functionality (like shortcode builder) is present and will be supported in the future releases. * New feature: Automatic Updates. Purchase code is required to activate. * New feature: Frontend submission (guest posting). You can insert form on any page that allows guest users (or users with selected role) to submit new content. 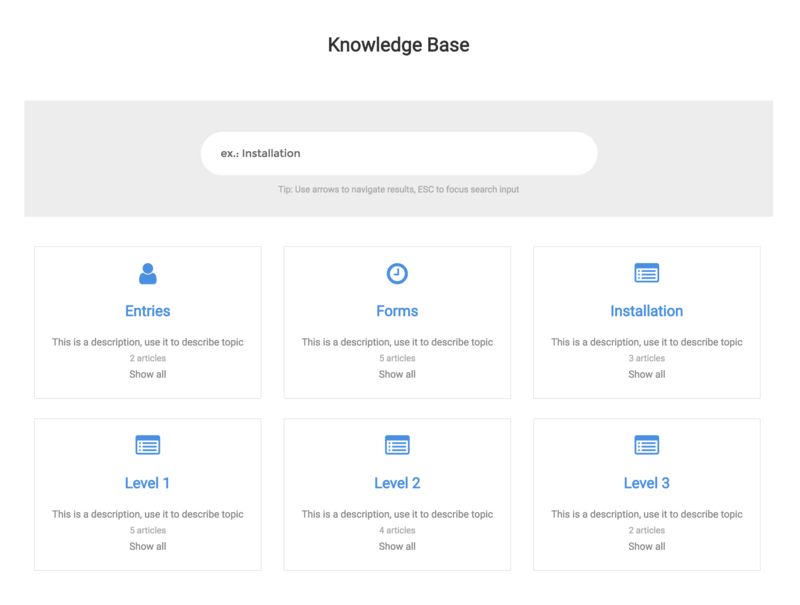 Articles will appear as drafts in Knowledge base, and you will be able to edit and publish them. * Version labels. You can assign software version labels to articles to indicate which product version they are written for. Important upgrade info: this version introduces some major updates and changes. While it’s backward compatible with previous version and was tested on different environments we still strongly advise to backup your data before upgrading, especially if you use content restriction functionality. * Major feature: New restriction. Restriction has been rewritten from scratch to allow custom roles and restriction-rules caching. Now you can set restriction globally, per topic and per article for any standard or custom user role. * New sorting. Articles sorting is made much simpler and has its own page. * Better image upload button. Now you can either use URL or select from media library. 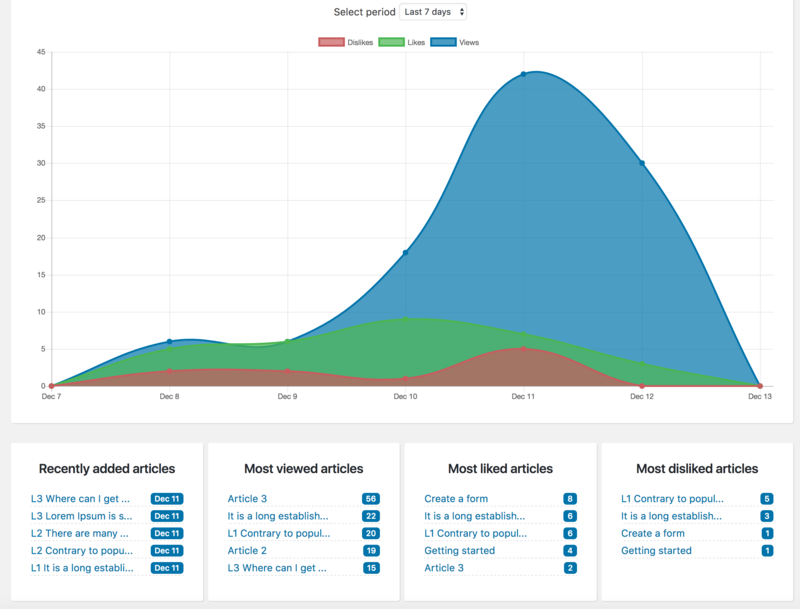 * Fixed: Recent articles and topics widgets showing links to restricted articles. * Fixed: Dynamic topics not available in new topic selector. * Added option to remove search when user has no global access to KB content. * Restrict roles are now selected via checkboxes to allow more flexible configuration. * Fixed: Disable article archive switch not working. * Fixed: Table of contents parser not matching headings with style attributes. * Added option to exclude specific h1-h6 from table of contents parser. * Added option to remove numbers in table of contents. * Fixed table of contents background color when in widget. * Fixed: Table of contents picks color from headings. * Fixed: FAQ wrong toggle close icon. * Removed webkit input style on iOS devices. * Removed search autocomplete i some browsers. * Added setting for live search trigger characters length. * Added toggle (accordion) mode for FAQ. * Fixed: Incorrect float parse for CSS size. * Fixed: restriction form inputs width in some themes. * Added additional var filter check in search handler for better security. * Added fix for WPML box in topics edit screen. * Fixed: table of contents links scroll to wrong position when using dynamic elements in content. * Fixed: sticky sidebar wrong position when content changes dynamically. * Reorganized and improved table of contents settings tab. * Regrouped admin menu items. * Added Quick start admin page. * Fixed: Incorrect topic count when restriction enabled. * Fixed: VC image pattern in search shortcode broken. * Removed FAQ items from global wp search. * Added generic ol/ul list styles for themes with broken HTML support. Note on Automatic Updates feature. We’ve been requested to add automatic updates in plugin several times and we planned to add it in this version finally, but after investigation and testing official Envato Market plugin we decided against developing our own, as this plugin works well, is maintained by Envato and does everything needed. Besides, by enterning your token once, you can update all your purchases in one place. So, please use it, check their site for more details: http://envato.github.io/wp-envato-market/ Of course we are always ready to help, and if this solution has some drawbacks, please let us know, we’ll find a better one. * Added option to disable articles archive. Now you can use articles URL slug, for example /kb for your KB home page. * Major feature: Visual Composer elements. Now all KB sections are also available in Visual Composer! * Major feature: non-blocking search. New search mode added, which sends requests at the server as you type, resulting in much more responsive experience. You can also change it back to blocking mode, if you need to reduce load on your server. Search analytics was also rewritten to play well with new search - only the valuable results are stored in search history. * Added search request indicator icon for more responsive UX. 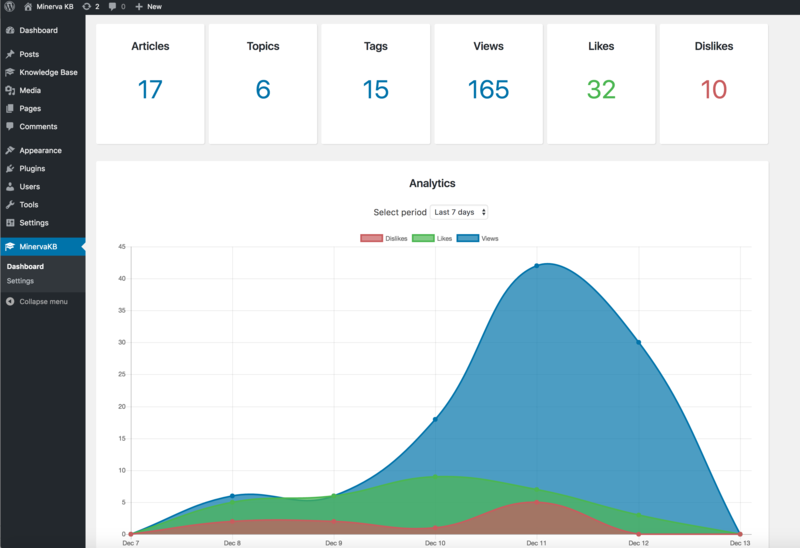 * Added reset possibility for Likes, Dislikes, Views and search stats. * New widget: KB Search. * Added option to remove icons from widgets. * Sidebar is now always rendered after content on mobile and tablet. * Added switch to disable FAQ post type and modules. * Fixed: search by tags were absent in search results page, while available in live search. * Fixed: fancybox script loading. * Fixed: WPML css breaks icon selector. * Fixed: search is now not performed when search input is empty. * Major feature: 2nd restriction mode added: possibility to exclude restricted content from topics and search results. Now instead of showing articles with login form for non-authorized users you can remove these entries completely and show only for allowed user roles. * Hierarchical table of contents now has proper numbering: 1.2, 1.3.1, etc. Works for any level of depth. * Post type/slug settings section improved, as many customers were confused by it. * Added settings to remove title and container for KB home page created via plugin settings. * Added child theme support for theme overrides. * Fixed: shortcode builder working only for admin users. * Fixed: WP pagination setting affecting search results. * Fixed: undefined topic when search result has no topic. Big thank you to David https://codecanyon.net/user/blackcode777 for reporting! * Fixed: bug with translations that caused some settings to not work when using plugin on non-English WordPress installs. Upgrade notice: this version has many new features added, so it is advised to backup your data before updating. * New search option: allow multiline results. Works in page builder and shortcodes as well. Upgrade notice: If you are using shortcodes, it is important to check your pages after update, as shortcodes code have been significally rewritten in this version to support Shortcode Builder, and some defaults were changed. * Added hierarchical dynamic table of contents, built from H1-H6 heading tags in content. You can use either dynamic TOC or TOC built with shortcodes. Table of contents settings moved to separate tab. * Dramatically improved performance (up to 20x reduced loading time on some pages). Big thank you goes to @kimekim for noticing this issue. * New feature: Google Analytics integration. Now you can track successful and failed searches, likes, dislikes and feedback directly to your Google Analytics account, using custom GA events. All event fields are configurable and have hassle-free, working out of the box defaults. * New feature: Added many search style options: background color, image, gradient, pattern and many more.